You are looking south from the Ford Parkway Bridge. 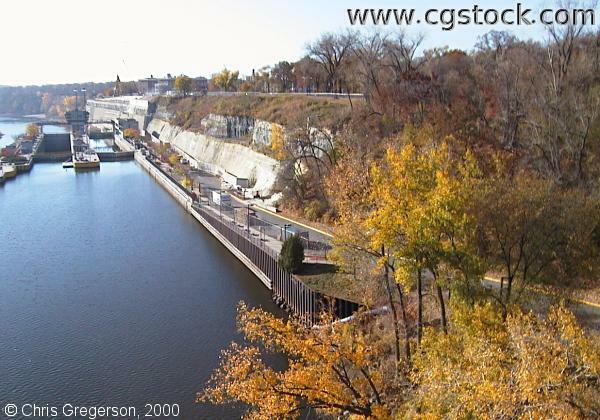 On the left is Lock and Dam 1. Minneapolis is on the right, St.Paul is across the river to the left, where there is a Ford Plant on the riverbank.